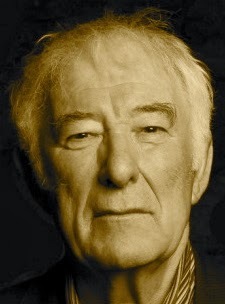 A Year of Being Here: Seamus Heaney: "Postscript"
"Postscript" by Seamus Heaney. Text as published in The Spirit Level: Poems (Farrar, Straus and Giroux, 1996). My thanks to subscriber Monique Metzemaekers for suggesting this poem. Art credit: "Postscript," text performed by Seamus Heaney, video by Cian Vaughan on Vimeo. I will most sorely miss this inspiring and magic-filled blog when it closes down. THANK YOU for all you've contributed ... so much joy and contemplation have come to me from visiting here. I for one, have appreciated all you've done. You're very welcome. Drawing the project to a close was a hard decision. I hope you'll continue to enjoy the project until the end. The website will remain up as a resource thereafter.